Back at Refugio State Beach, one of the perks of being away from the city is a chance to see more wildlife. 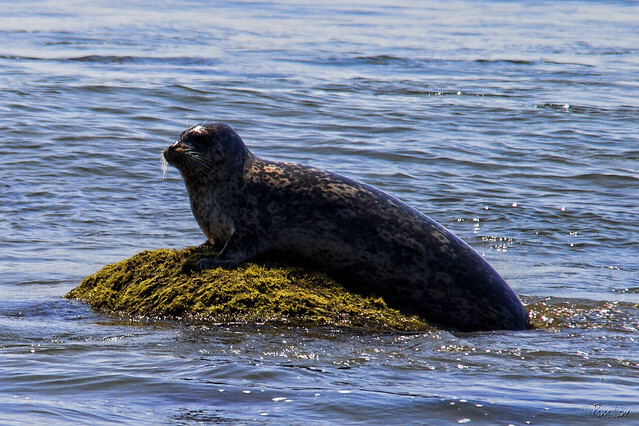 A group of about six harbor seals watched us from their rocks and from the water about 30 feet offshore. They kept a close eye on us until we moved further down the beach, then they relaxed in the sun again. Closer to our campsite where a small river opens up onto the beach, a variety of birds spend the day. 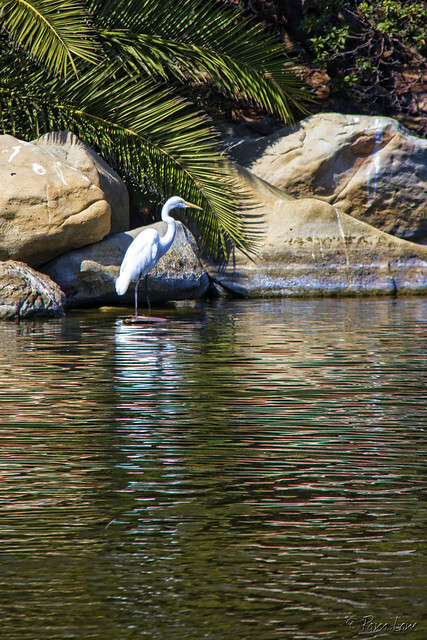 I think this one is an egret. He too watched until we went on our way, then went back to his fishing. 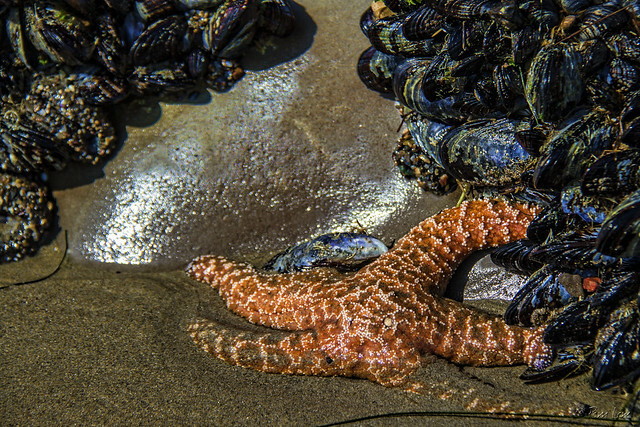 And finally, at the other end of the beach, low tide presents a lot of tide pools, where we found clams, anemones, and this starfish. Such beautiful "close-ups." It looks as if you swam right up to that seal! Lovely moments to linger on.